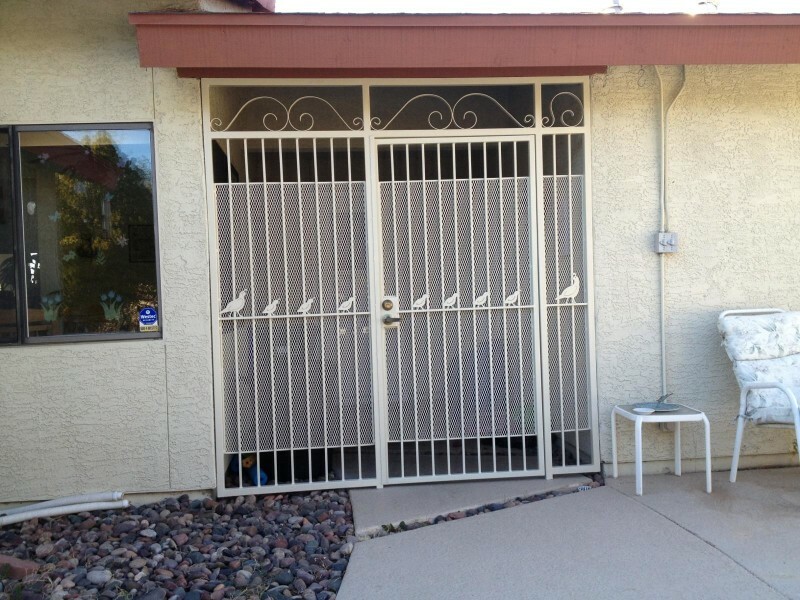 Do you have pets who try to escape every time you open the front door? 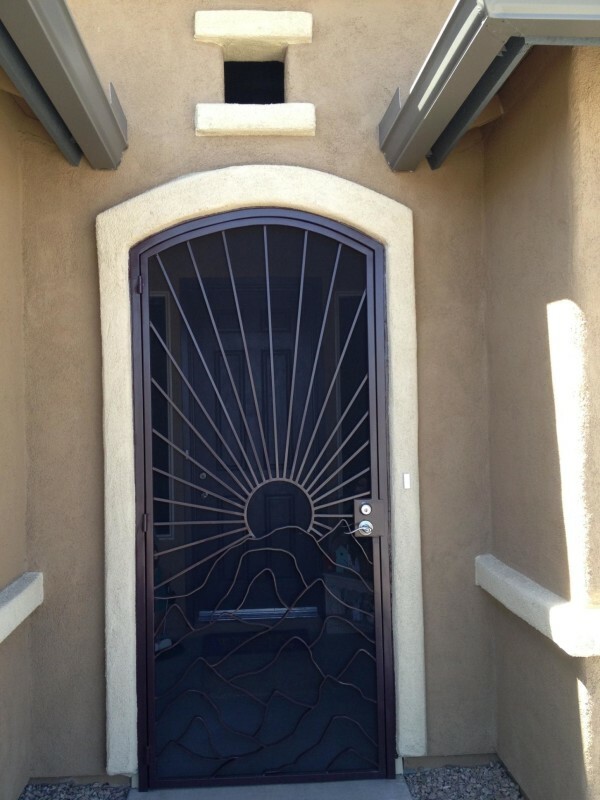 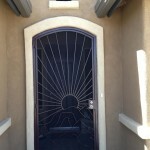 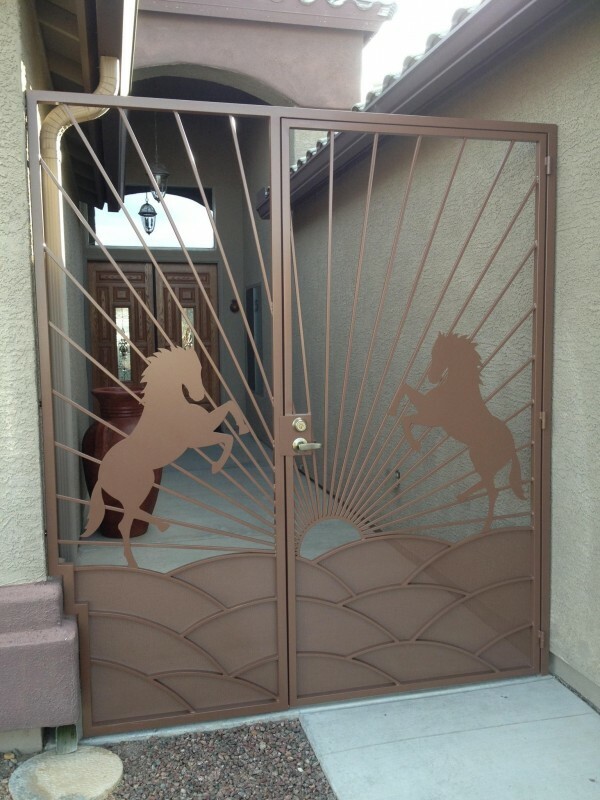 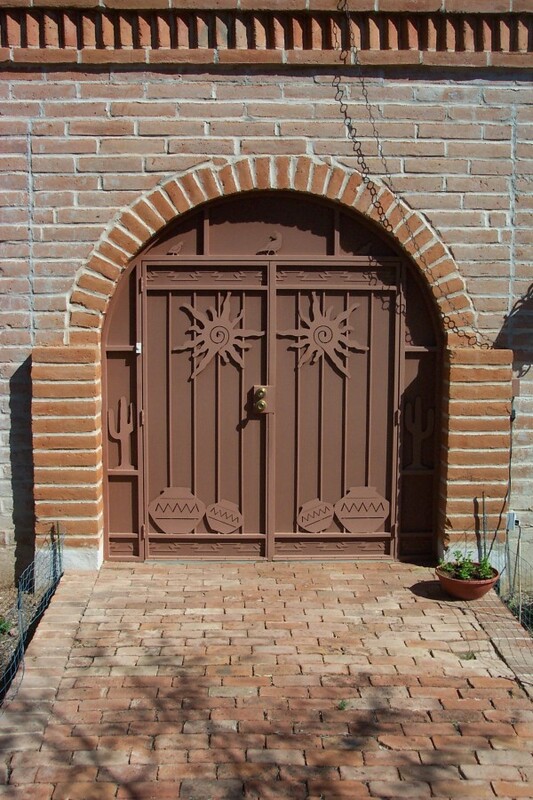 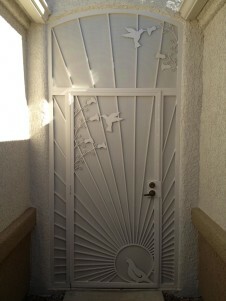 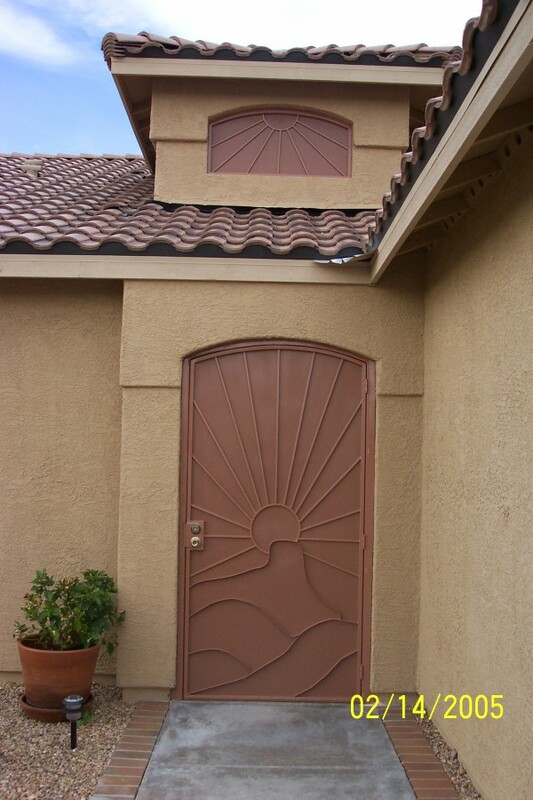 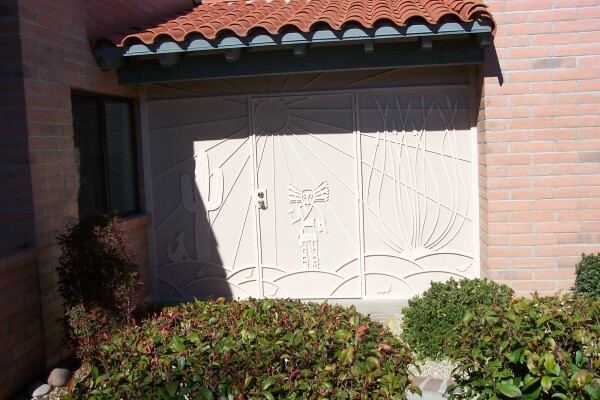 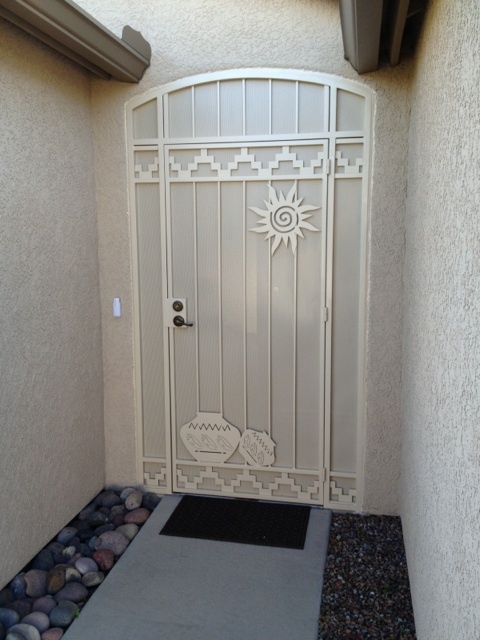 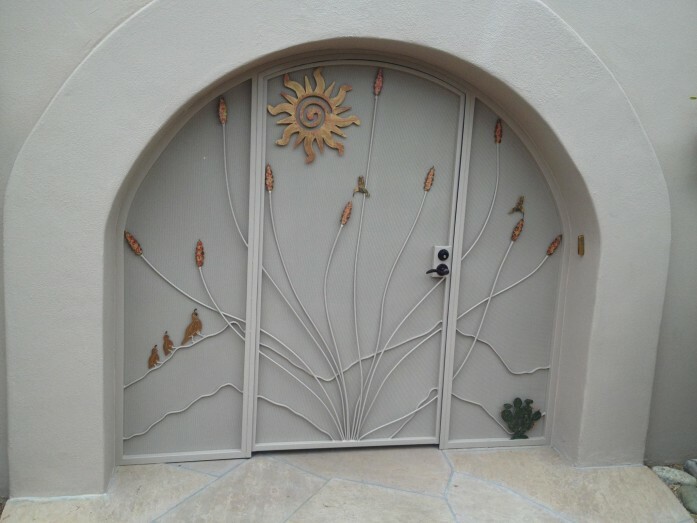 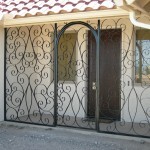 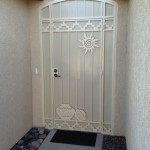 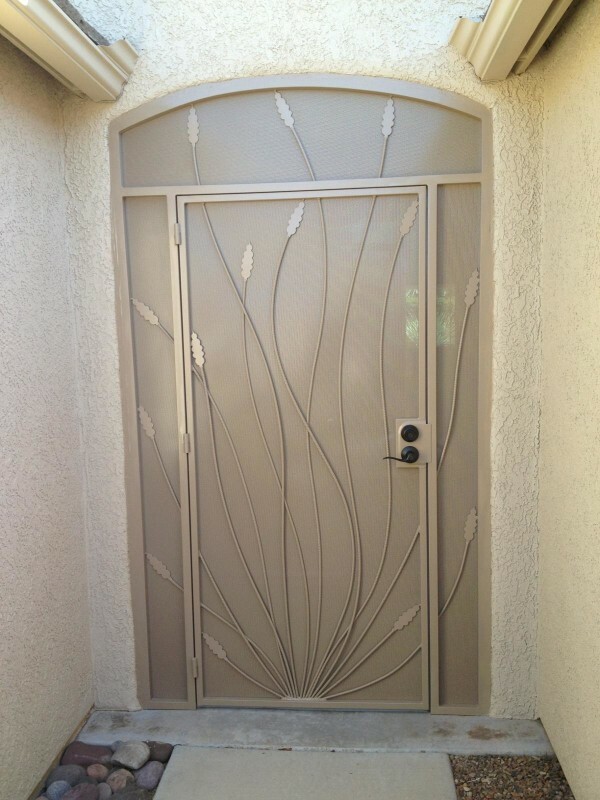 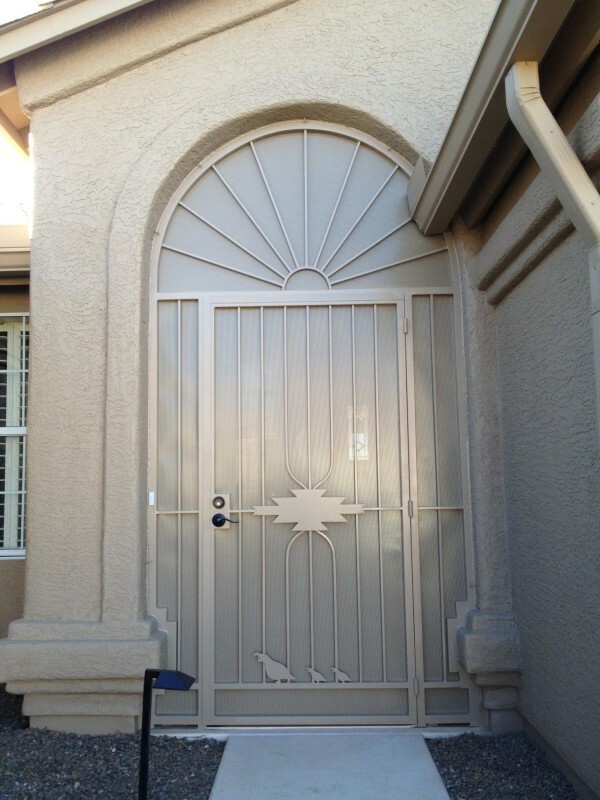 Or, maybe you just want to have some extra security for your home’s front entrance? 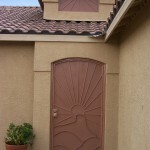 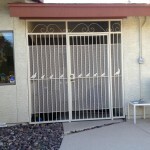 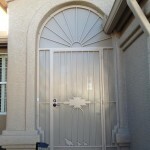 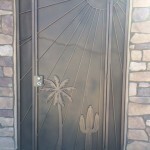 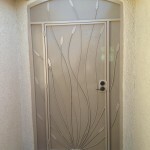 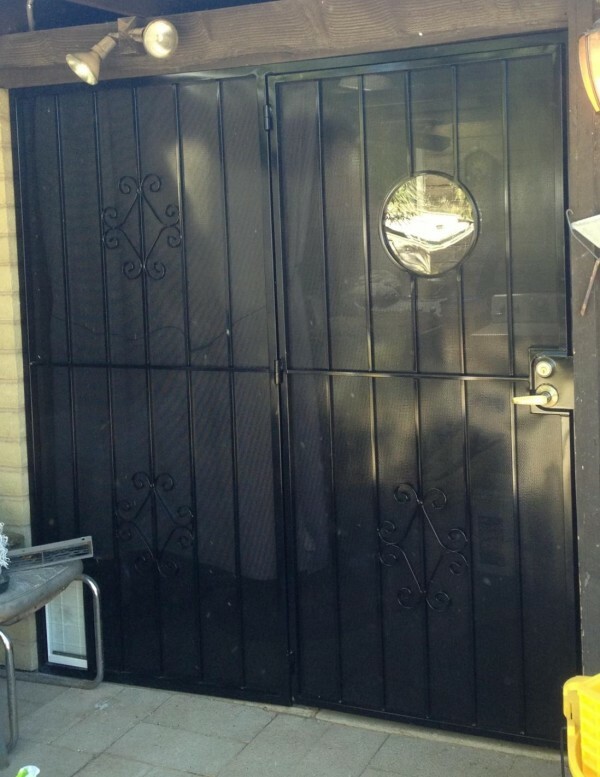 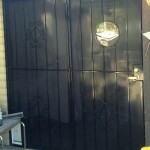 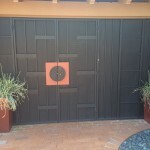 Our custom metal enclosures take security doors to the next level. 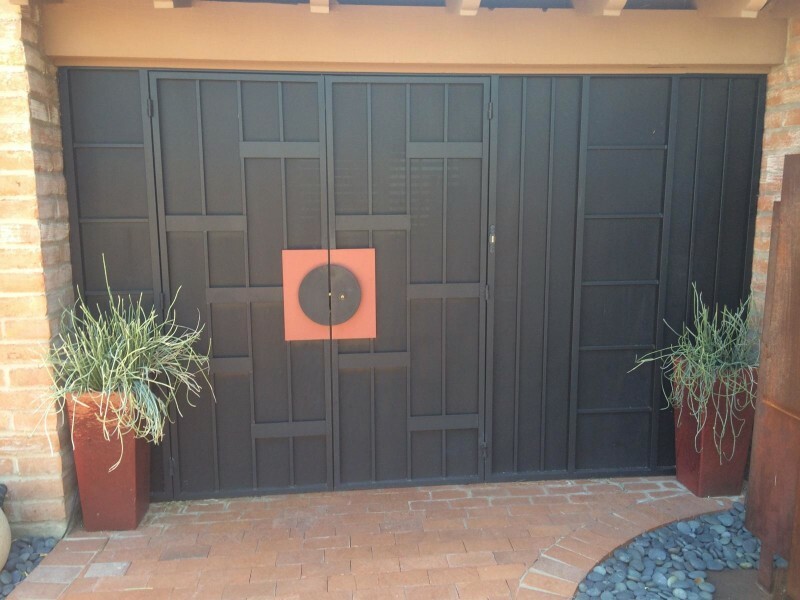 Providing a completely gated-in space around your front door, these custom-made enclosures give your home a one-of-a-kind appearance. 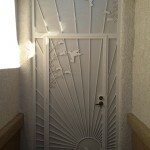 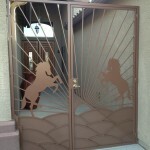 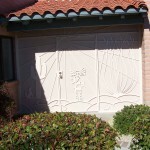 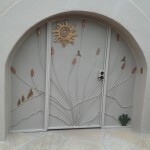 We offer a variety of styles and are always able to do custom designs. 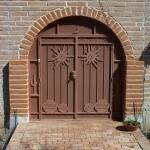 An enclosure~a gate~or~a door? 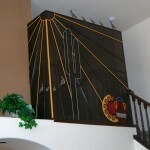 The height and location we call it an enclosure, either way, it looks awesome! 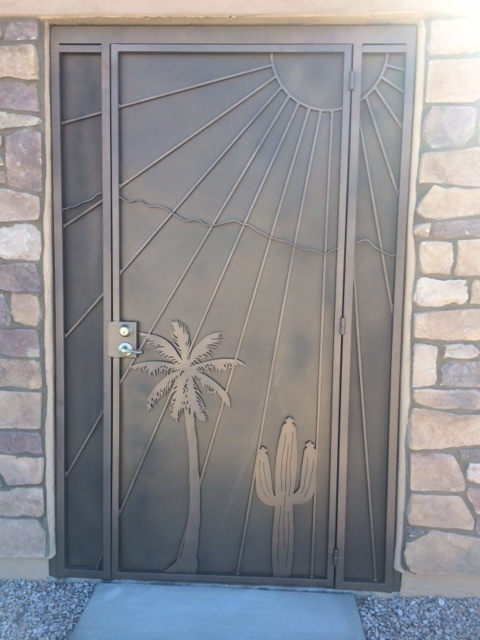 A beautiful custom designed enclosure! 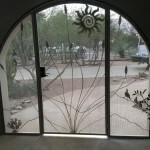 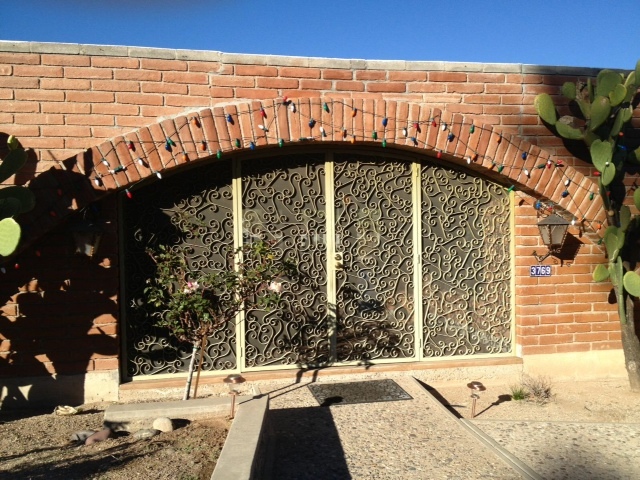 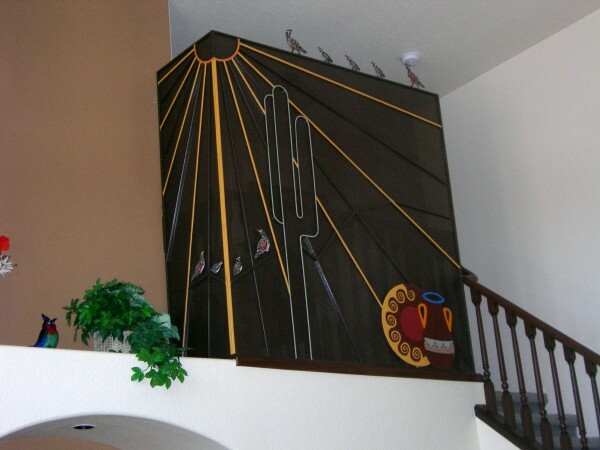 Custom Ocotillo & hummingbirds, the customer painted the accented colors. 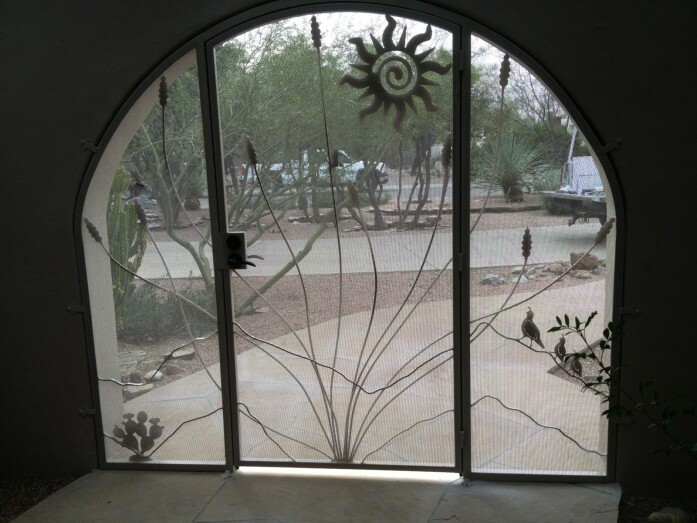 The view from the inside looking out using our perforated screening. 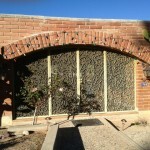 Custom enclosure using regular aluminum screening. 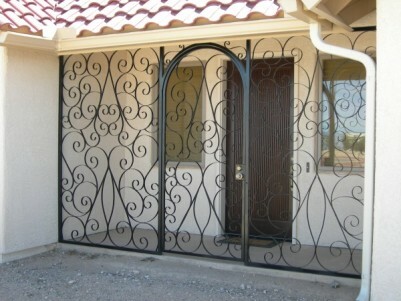 Not as secure as perforated screen but beautiful.